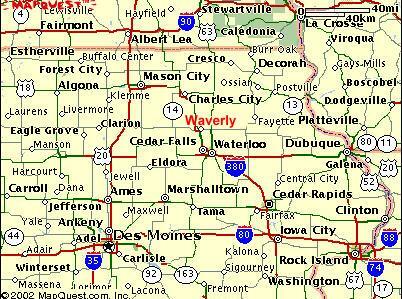 Hwy 218 N, past Janesville 2 miles, before 1st Waverly exit, (at mile marker 198) take left on 250th street. Go 1 mile, after tracks and before gravel road turn right on to Cedar Avenue. Follow to security gate. Call for admittance. Office is 2nd building on the right hand side. 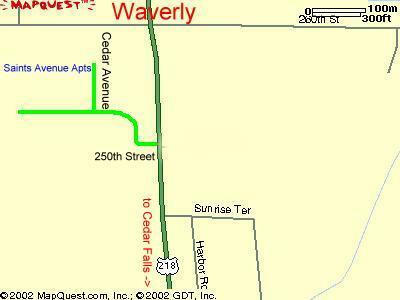 Hwy 218 S, after 3nd Waverly exit take 1st right at 250th street. (just before mile marker 198). Go 1 mile, after tracks and before gravel road turn right on to Cedar Avenue. Follow to security gate. Call for admittance. Office is 2nd building on the right hand side.